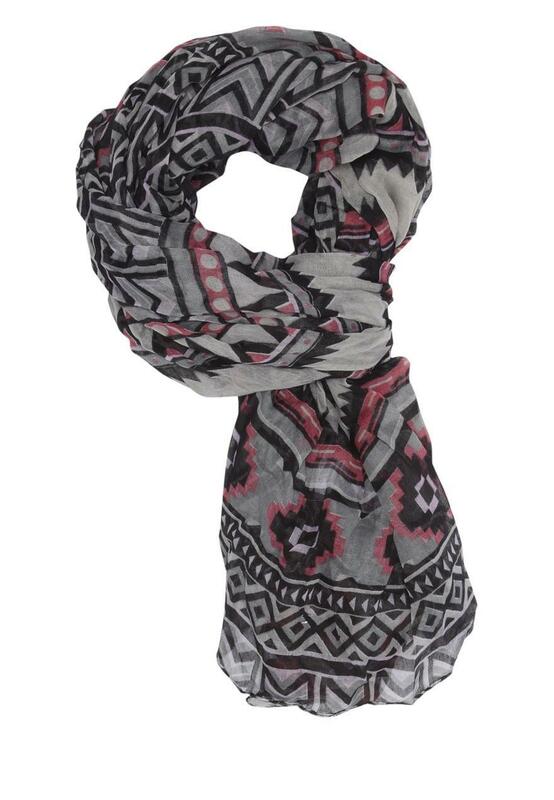 Wrap up with our pretty ladies scarf. 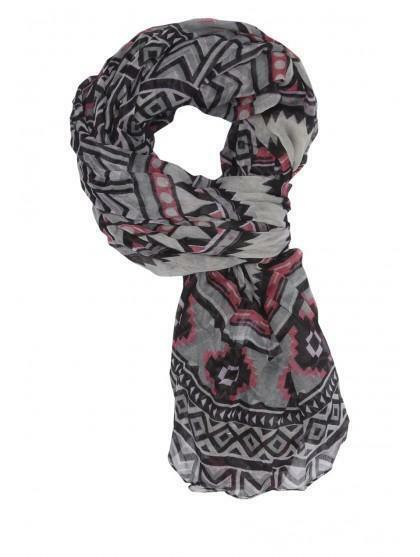 This lightweight woven scarf features aztec inspired monochrome geometric shapes which are contrasted with pops of pinky-red colour. Ideal for brightening up darker outfits on chilly days!